Newport had a busy morning as we invited all mums and carers in to share in our Mothers Day brunch. 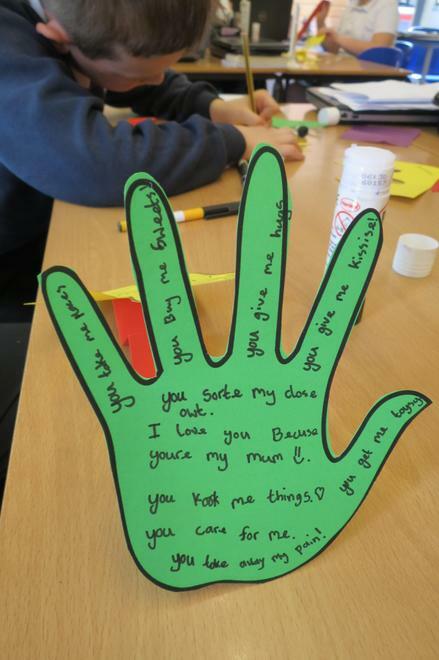 Plenty of bacon butties and sausage sandwiches were consumed, along with cups of tea and coffee as the 'mums' were joined by their children to make Mother's Day crafts. The hum of industrious cutting, sticking and chatting filled the hall and the children enjoyed working alongside their mums to create some wonderful art. Thank you to everyone who supported this event and to the school cooks for preparing all of the food.